28th Festival of Jewish Culture takes place in Krakow in 2018, from June 22nd through July 1st. The festival venues, including some Krakow's synagogues, are scattered around the former Jewish quarter of the Kazimierz historic district. Concerts of music in the program of the 2018 Festival of Jewish Culture in Krakow. June 24th, Sunday: USA’s clarinetist David Krakauer and Poland’s Pan Ton Quartet play Wlad Marhulets’s Dybbuk and other Jewish music in Tempel Synagogue, 24 Miodowa street, at noon. Concert of Cantors features USA’s Yaakov Lemmer and Shulem Lemmer, Israel’s Shlomo Seletski and Yossi Schwartz plus The Bells Vocal Ensemble and pianist Menachem Bristowski in Tempel Synagogue, 24 Miodowa street, at 7 pm. Production of Josef Tal’s Tribute to Else Lasker-Schüler chamber opera takes place in Zydowskie Muzeum Galicja museum, 18 Dajwor street, at 8:30 pm. Israel’s electronic artist Yudko performs in Hevre club, 18 Meiselsa street, at 9 pm. June 25th, Monday: Poland’s jazz violinist Adam Baldych gives a recital playing music by Gideon Klein, Simon Laks, and Mieczyslaw Weinberg in Zydowskie Muzeum Galicja museum, 18 Dajwor street, at 8 pm. USA’s singer Eleanor Reissa and trumpeter Frank London plus Klezmer Brass Allstars ensemble perform Jewish music in Tempel Synagogue, 24 Miodowa street, at 7 pm. Poland’s band, Mała Orkiestra Dancingowa, performs the Polish pop music of the 1930s in Hevre club, 18 Meiselsa street, at 9 pm. Krakow’s Krakowski Chor Rewolucyjny sings socialist and anarchist Yiddish songs in JCC Krakow culture center, 24 Miodowa street, at 7:30 pm. June 26th, Tuesday: Israel’s Jerusalem Quartet play music by Leos Janacek, Erwin Schulhoff, and Antonin Dvorak in Tempel Synagogue, 24 Miodowa street, at 7 pm. Concert The Pianist of Willesden Lane features the USA’s pianist Mona Golabek playing music in commemoration of her mother Lisa Jura - in Zydowskie Muzeum Galicja museum, 18 Dajwor street, at 7 pm. Israel’s singer and electronic artist Noga Erez performs in Teatr Nowy playhouse, 41 Krakowska street, at 9 pm. Israel’s vocalist and rapper Victoria Hanna performs in Teatr Nowy playhouse, 41 Krakowska street, at 9 pm. Midnite Session jam features improvised music inspired by Jewish traditions in Alchemia club, 5 Estery street, at midnight. June 28th, Thursday: Israel’s The Sefi Zisling Quartet play jazz inspired by Jewish traditions in Alchemia club, 5 Estery street, at 10 pm. USA’s clarinetist David Krakauer, trumpeter Frank London, and vocalist and violinist Michael Alpert plus Poland’s Orkiestra Klezmerska Teatru Sejnenskiego orchestra perform Jewish music in Tempel Synagogue, 24 Miodowa street, at 7 pm. June 29th, Friday: Israel’s The Jerusalem Orchestra East & West plus singers Moshe Louk and Emil Zrihan perform world music in Synagoga Tempel synagogue, 24 Miodowa street, at 6 pm. Concert Krakow the Path of Light features USA’s Hevreh Ensemble playing Jeff Adler’s music inspired by Loli Kantor photos in Zydowskie Muzeum Galicja museum, 18 Dajwor street, at 8 pm. Poland’s Kinga Rataj Trio perform world music in Strefa club, 31 sw. Tomasza street, at 8 pm (admission 30 PLN). Concert The Yiddish Love Songs features the USA’s singer Cindy Paley and Poland’s singer-guitarist Menachem Mirski and his band in Zydowskie Muzeum Galicja museum, 18 Dajwor street, at 10 pm. June 30th, Saturday: Open-air Shalom concert of the Jewish Culture Festival features Israel’s saxophonist and vocalist Abatte Barihun, bassist Amir Sadot, guitarist Ilan Smilan, trombonist Yaron Ouzana, percussionist Idan Kopparberg, drummer Amir Bresler, trumpeter Sefi Zisling, and keyboardist Noam Havkin as well as Poland’s Jazz Band Młynarski-Masecki among other artists - in Szeroka street at 6 pm. July 1st, Sunday: Israel’s jazz quintet, Young Yosef, perform in Cheder club, 36 Jozefa street, at 9 pm. Concert Maestro Kozlowski and His Pupils features an array of Poland’s pop acts in Synagoga Tempel synagogue, 24 Miodowa street, at 6 pm. June 25th to July 5th, 2015. Dajwor street behind the Old Synagogue. Poland's Anna Gieracka talks about architekture, space, and nature. Krakow’s MLDVA DJ duo spin psychofolk. Israel’s pop singer Ori Alboher's performance. Poland’s DJs Good Paul and Daniel Drumz spin house. 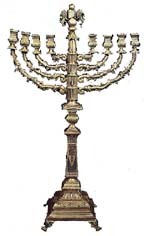 Kalabat Shabbat ceremony (free admission). TEDER PRESENTS - A night in Tel Aviv. Boat Barka moored by Kladka Bernatka bridge. Jewish Krakow, a tour in Polish. Shabbat morning prayer ceremony (free admission). Jewish Krakow, a tour in English. Industrial Kazimierz, a tour in Polish. Challah means Chalka: Jewish baking workshop with Israel’s Uri Scheft and Rinat Tzadok. Piekarnia Mojego Taty bakery at 6 Meiselsa street. Poland’s Sylwia Liszka and Agnieszka Wozowicz talk about Jewish quarter. Open-air concert features Israel’s alt pop act, Buttering Trio. Melaveh Malkah, a joyous ceremony at the end of the Shabbat (free admission). USA’s cantor Benzion Miller gives recital (free admission). Polish tour of the New Jewish Cemetery. In the Land of Yiddish, an interactive workshop for children in Polis. The World of Ryszard Horowitz, a meeting with USA’s photographer Ryszard Horowitz and his wife Anna (free admission). Jewish Culture Center, 17 Meiselsa street at Plac Nowy square. Theodore Bikel: In the Shoes of Sholem Aleichem. Jewish Community Center at 24 Miodowa street. Zahor, a ceremony commemorating Krakow Jews. Concert of Jewish cantors features USA’s Yaakov Lemmer and Israel’s David Vainnbach and Ushi Blumenberg plus The Bells Vocal Ensemble. Poland’s band, Berjozkele, performs Yiddish songs. Klezmer Basic and Beyond, a workshop of Klezmer music for beginners led by Deborah Strauss (USA) and Sanne Moricke (Germany), in English and Polish. Liceum Ogolnoksztalcace high school at 7 Waska street. Open Meeting: “The Source and Heart of the World”. Workshop of Yiddish singing led by the USA's Jeff Warschauer (in English and Polish). Liceum Ogolnoksztalcace high school at 7 Waska street. .
Workshop for children in Polish: “Travel to Israel”. „„New Life. Jewish Quarters of the Central-Eastern Europe in the 21st Century”, a lecture by USA’s Ruth Ellen Gruber. Literature meeting with UK's Emily Finer. Tour of the Remuh cemetery in Polish. „Hava Caravan”, the meeting with Dani Caravan. „Mizrah - from a town to Jerusalem”, a lecture by Poland's Monika Krajewska. Workshops of Jewish dance with USA's Steven Weintraub and accompaniment by Festival Yiddish Dance Band (English and Polish). Workshop of Hassidic singing led by USA’s cantor Benzion Miller..
„Rock the Casbah: the Jewish Quarters in Algeria as Music Laboratories” by Chris Silver..
„Fira. Poznanscy Zydzi. Opowiesc o zyciu” by Ksenia Kosakowska and Andrzej Niziolek, a Polish book – meeting with the authors..
Yiddish winkl, a conversation meeting for Yiddish speakers (free admission). USA’s trumpeter Frank London, cantor Yaakov Lemmer, and clarinetist Michael Winograd perform Jewish music. Israel’s Gelada DJ Set spin “Bob Dylan & Other Jewish Hippies”. JJam session features USA’s klezmer trumpeter Frank London and La Mar Enfortuna band. Klezmer Basic and Beyond, a workshop of Klezmer music for beginners led by Deborah Strauss (USA) and Sanne Moricke (Germany), in English and Polish (admission 10 PLN). Workshop of Yiddish singing led by the USA's Jeff Warschauer. Workshop for children in Polish: “Biblical Stories and Characters” (admission 5 PLN). „The third Generation: Young American Jews and Poland” an English lecture by the USA’s Stephanie Butnick. “Israel - Photo-Story about That How to Live and Don't Go Crazy”, lecture by Maria Szychowska (Poland). Tour of the Remuh cemetery with Edgar Gluck (USA), Chief Rabbi of Galicia (in English, fee 20 PLN). „What's Jewish” an English lecture by the Poland’s Katarzyna Zimmerer. Following the Footsteps of Ruben Silber, an Polish tour of Kazimierz district (fee 10 PLN). Workshops of Jewish dance with USA's Steven Weintraub and accompaniment by Festival Yiddish Dance Band (admission 20 PLN, English and Polish). Israeli Groove Connection: Boom Pam! - The Folk is Going Electric – a radio play in English (free admission). Yiddish winkl, a conversation meeting for Yiddish speakers (free admission)..
Jam session with USA’s trumpeter Frank London and friends (admission 10 PLN). „How to Speak and Write about Jewish Sites” a discussion in English and Polish (free admission). Walk in the Former Jewish Ghetto of Krakow, tour in Polish (free of charge). Starting point on the Plac Bohaterow Getta square. Workshop of Yiddish singing led by the USA's Michael Alpert (fee 10 PLN). „CoolJewz: Once upon Time - History As a Fairy-Tale in Inglorious Bastards” – a presentation by the UK’s Mikel Koven in English and Polish (free admission). Meet the Star @ Cheder: Omri Mor (Israel), free admission. Israeli Groove Connection: New Customs, Dancing Tel Aviv – a radio play in English (free admission). „How to Talk about Anti-Semitism” a discussion in English and Polish (free admission). English tour of the New Jewish Cemetery (fee 20 PLN). „What's Jewish” a discussion with Rabbi Michael Paley, Jonathan Webber, Katarzyna Zimmerer, and Jonathan Ornstein, director of the Jewish Community Center (free admission)..
Foreign Eye, Kazimierz from a Traveler Viewpoint - a tour in Polish (fee 30 PLN). „CoolJewz: Jewsploitation – Political Ambiguity and Israeli Horrors, the case of Kalevet Movie” – a presentation by the UK’s Mikel Koven in English and Polish (free admission). Israeli Groove Connection: Israeli Psychodelic Funk – from Roots till Now – a radio play in English (free admission). Israel’s percussionist Shlomo Bar and Habrera Hativeet band performs Jewish music in Tempel Synagogue, 24 Miodowa street, at 7 pm. Jam session with Poland's Cukunft band (admission 10 PLN). „Depiction of a Jew in Polish Folk and Pop Culture” a discussion in English and Polish (free admission). “Two Rabbis and an Atheist Enter a Bar” - a panel discussion with Michael Schudrich, Chief Rabbi of Poland, Jonathan Ornstein, JCC Executive Director, and Rabbi Tyson Herberger. Walk in the Former Jewish Ghetto of Krakow, tour in English (free of charge). „What's Jewish” an English lecture by Jonathan Ornstein, director of the Jewish Community Center (free admission). Foreign Eye, Kazimierz from a Traveler Viewpoint - a tour in English (fee 30 PLN). „Is Poland Situated on the Mediterranean?” a discussion in English and Polish (free admission). Tea Dance Party features USA's Jeff Warschauer, Deborah Strauss, and Steven Weintraub plus Germany's Sanne Moricke and Festival Yiddish Dance Band (free admission). “Shtetl – Following the Traces of Jewish Villages” a day trip touring Dzialoszyce, Pinczow, Chmielnik, and Szydlow (in English, fee 250 PLN). Starting point at Jewish Klezmer Hoise, 6 Szeroka street. Jewish Krakow, a tour in Polish (fee 30 PLN). Jewish Krakow, a tour in English (fee 30 PLN). “Shabbat Shalom! A Family Shabbat Gathering” a workshop for children and young people (free admission). Final open-air concert "Shalom on Szeroka Street" (free admission). Following the Footsteps of Ruben Silber, a Polish tour of Kazimierz district (fee 10 PLN). Concert "Leopold Kozlowski and Friends" features an array of Krakow's pop acts (admission 100 PLN). Concert features Israel’s indie folk band Lola Marsh. The Kazimierz Jewish quarter was the safe haven for Jews from every corner of Europe till the 20th c. and a major center of the Diaspora. There are more than 24,000 beds to choose from. Copyright © 2011 - 2017 by MAREK STRZALA. All rights reserved.